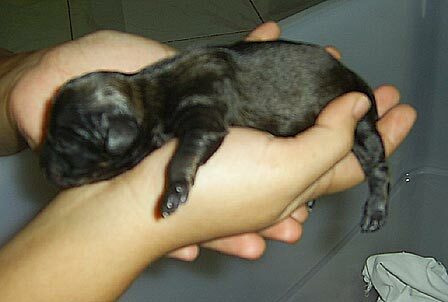 Beerkada Comics » Congratulations to Snow for 4 live puppies! 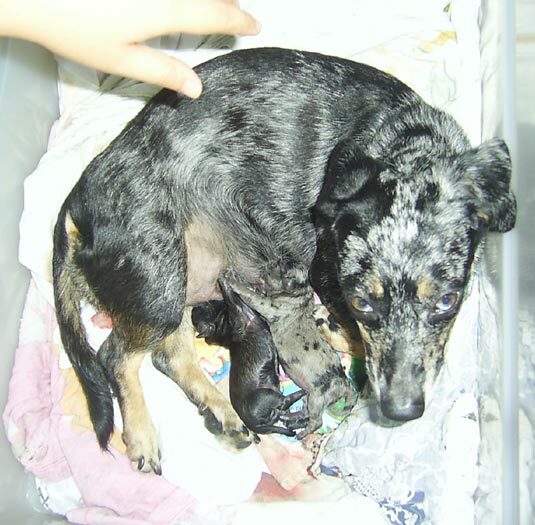 Congratulations to Snow for 4 live puppies! 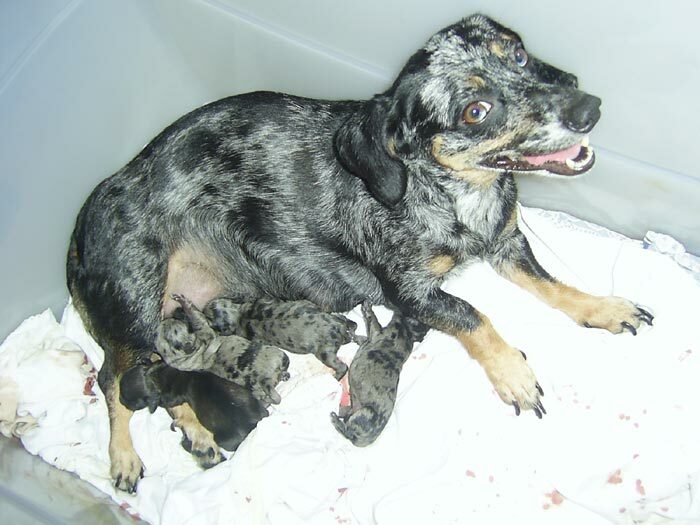 It’s certainly a joyous moment for Chompy when Snow aka “Mini-Chomps”, her 2-year old dachshund, gave birth to a litter of 4 puppies, 2 male and 2 female. It was touch-and-go for the last one when blood spouted from the severed umbilical cord, but the little rascal recovered. 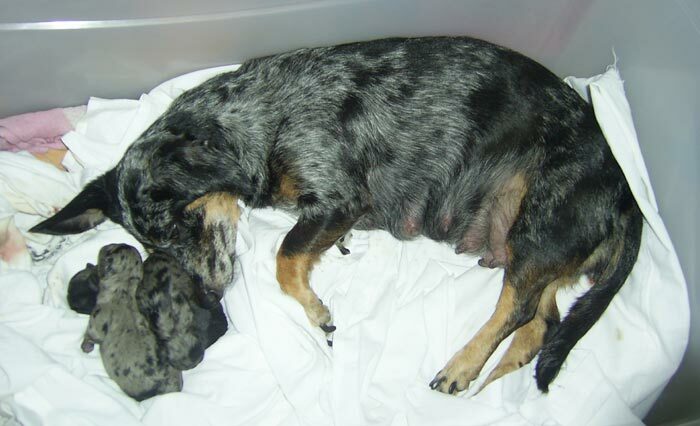 It’s been more than 24 hours, and all four puppies are bundat from drinking their mother’s milk. Ano yung pure black? Boy or girl? 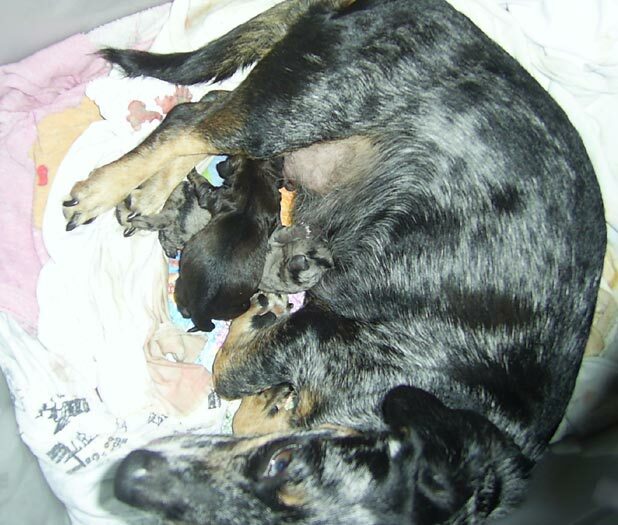 It looks like pure black but I see some hints of dark brown.. He’s a boy and the eldest Next is a girl dapple with the lightest black markings (though we suspect the markings would increase in time).. Next is a guy dapple (a bit smaller than the first two, who had 1.5 hrs head start drinking milk). 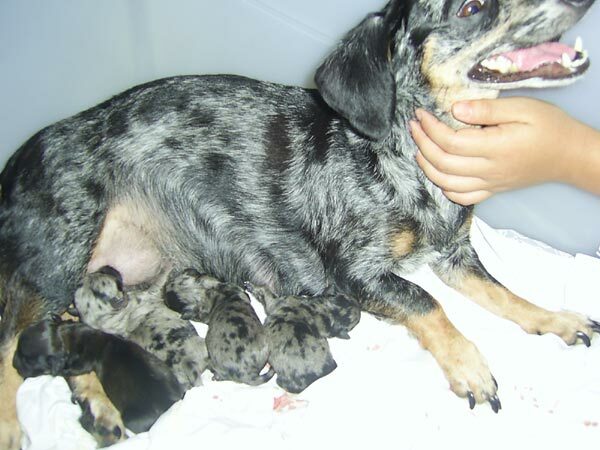 Then the youngest is a girl dapple with the darkest black markings. Congratulations to snow and chompy! The puppies are sooo cute!!! Snow looks positively radiant in the first pix. Congratulations on being ‘grandparents’ Chompy and L you’re gonna have so much fun naming them. congarts snow! the puppies look so cute!! !